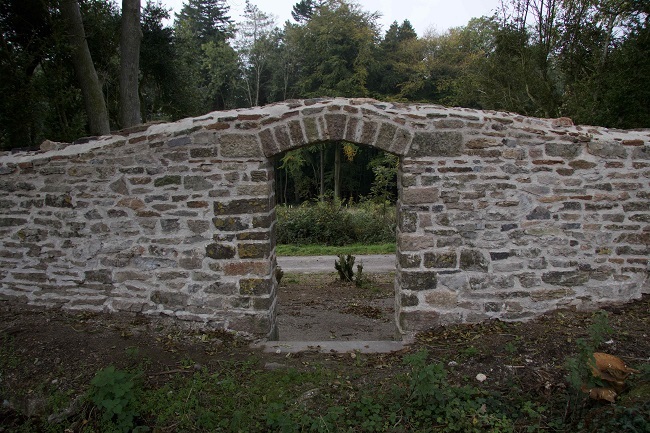 A stone archway in the Victorian parkland boundary wall at Tyntesfield near Bristol has been restored thanks to funding raised through the National Trust’s annual raffle. The restoration of the archway follows on from the successful repair of a 450 metre stretch of the historic boundary wall in 2017. 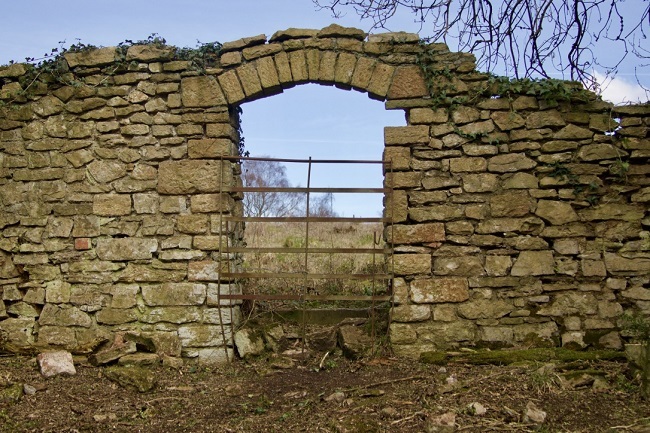 The continuation of the project to save the mile and half long wall, which is thought to date from the 1880s, was made possible thanks to £2981 raised through the sale of raffle tickets at Tyntesfield. Work to repair the archway, which was identified as a priority section of the wall by the National Trust team, began in late July. 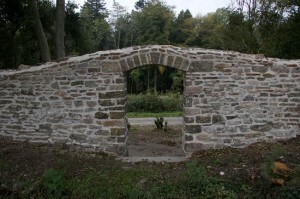 Using the same historic techniques that would have been used to first build the wall in the late nineteenth century, including an authentic lime mortar mix, the team rebuilt the archway over a custom-built frame. Once the lime mortar was dry, the frame could be removed and the wall on the other side of the arch rebuilt. The work was completed by a team of National Trust volunteers and local qualified waller and instructor, Simon Knops, of Bristol based company, Greenspace Walling. During the work to repair the wall, the team also uncovered historic latches and part of a hinge buried in the ground by the archway.